Friday Indie Artist Playlist & Nesheba Interviewed by... Barbara Hofmeister author of "To Be Or Not to Be - The Choice is Yours", Self-Help, and Blogtalk Radio Host. Her show "The TO BE Show" airs live Tuesday's from 1:00 - 1:30 p.m. Central Time, USA. Nesheba, also interviewed by "LadyX Loqui": http://www.blogtalkradio.com/promotingpurpose Sherrell Straker-Valdezloqui owner of SV, Promoting Purpose LLC. Sherrell is also an author of 2 Poems of Prayers an Inspirational Poetry book, along with new released novel The Hurting Women. 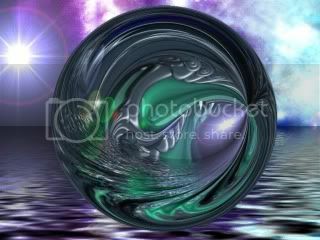 "What's It All About Nesheba?" 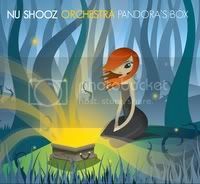 "To Be or Not to Be - The Choice is Yours"
Special guest Portland Indie Artists “Nu Shooz Orchestra” Featuring their CD “Pandora’s Box”. You will more than enjoy this extremely talented group Nu Shooz with Valerie Day beautiful vocalist & congas and John Smith guitarist, pianist, and Hammond B-3; they are so versatile and gifted. More than two decades after their 1986 Top Ten Hit single, “I Can’t Wait,” took the world by storm, NU SHOOZ returns with a new album, “Pandora’s Box”, and a 10 piece orchestra Gil Evans would have loved. NU SHOOZ was Nominated for a “Best New Artist” Grammy award in 1987 and earned a Gold Record for the album “Poolside.” Their breakthrough hit, “I Can’t Wait” continues to be played on radio stations around the globe every 11 minutes. Special Guest Reginald Hall Shares the Plight of the Saltwater Geechee Community in Sapelo Island, Georgia. As some of you maybe aware Gullah relates to African-Americans who are descendents of original slaves that were dropped off in ports along the coast lines of South & North Carolina, Georgia, Sea Island, and Florida around Jacksonville. This culture has managed to maintain the culture and language known as Geechee a dialect which incorporates original language infuses Jamaican Creole, Barbadian Dialect, Krio language of Sierra Leone in West Africa. Reginald will share the plight of what’s occurring now, and how the lands of this awesome culture, is being taken from beneath their feet via “Eminent Domain” by the Governor of Georgia. This shouldn’t be happening in America, land the legally belongs to and meant to be passed down from generation to generation, taken from behind their backs. Profound Interview with Reginald H. Hall on Black Talk Radio Host Scotty Reid On: “Ancestral Saltwater Geechee Lands on Sapelo Island, Georgia"
Ancestral Saltwater Geechee Lands on Sapelo Island, Georgia"
On: “Ancestral Saltwater Geechee Lands on Sapelo Island, Georgia" & Governor of Georgia Helping to Steal Black Ancestral Lands? This shouldn’t be happening in America, land the legally belongs to and meant to be passed down from generation to generation, taken from behind their backs. This is reflective of what happen to the Indians, receiving treaties in lieu of land, being lied to and all the other atrocities they suffered. Luckily, the Indians have worked as teams across the land to monitor treaties that expire, and then they retrieve their lands. No more should this be allowed to happen in America to any American who’s land has been stolen, and they have evidence of ownership… So, let’s work together to get out and spread the word. You can start by listening in on the interview noted above with “Reginald Hall” and the other links and information supplied on this post. Inspirational Guest Author/Poet, CEO of S&V Promoting Purpose Media, and Radio Host Sherrell Straker-Valdezloqui. The inspiration continues you will be impressed and encouraged by this up & coming mogul. The 25 year old is a mother, wife, a veteran of the US Army, and holds a degree in Business Administration. If that isn’t enough she is an author and Poet in which she has written two books. book, along with new released novel The Hurting Women. Sherrell will soon be releasing another novel called The Spiritual Warfare which is due to come out next year 2011 www.ladyvbooks.com. Not only is Sherrell an author/ poet, she is an Entrepreneur as well. 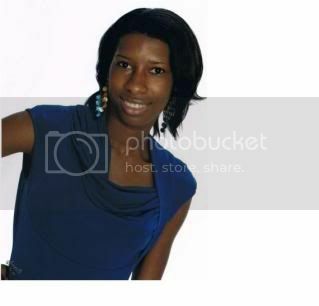 She is the CEO of her new founded company S&V Promoting Purpose Media, www.svpromotingpurpose.com . A media company out to promote the many talents and creativity God has placed in the world. These creativity and talents are Inspirational, Spiritual and Encouraging talents. Such as but not limited to, Inspirational Authors, Poets, Singers, Founders and other talented Ministries including churches and etc. Under S&V Promoting Purpose Media Sherrell has the Promoting Purpose Blog talk radio www.blogtalkradio.com/lady-loqui which airs every Thursday and Saturday nights 9pm EST. Special guest Canadian Indie Artists Marshall Lawrence a.k.a “Doctor of the Blues”. Genre’ and styling has been described as Delta-style Blues & Roots with a Raw Edge and an Acid Twist. Marshall has been compared to Robert Johnson, B.B. King, Stevie Ray Vaughan, Son House, and some of his influences are Tommy Johnson, Muddy Waters, Taj Mahal, Johnny Winter. 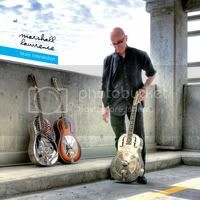 Marshall’s newest release, Blues Intervention, is another stunning all-acoustic offering, following his 2008 Roots Music Report Chart-topping The Morning After. A deep, soul-baring set of his self-described “acid blues”—a reference to the music’s alchemical mix of blues and Marshall’s background of playing everything from rock to soul, funk, bluegrass, and even punk. Welcome our very special guest Best Selling author Shelia E. Lipsey is an award winning author of 5 Edgy Christian Fiction Novels, and 1 Non-Fiction Christian book. Her titles include “Into Each Life”, “Sinsatiable”, “My Son's Wife”, “Beautiful Ugly” and now the sequel to “My Son's Wife titled My Son's Ex-Wife: The Aftermath”. A brief snap shot into ‘My Son's Ex-Wife: The Aftermath “. As the story of the Graham family continues, a complicated love triangle has the congregation and the family in a fragile state. Lady Audrey Graham never liked her son’s wife, Rena, so she’s glad to see her out of the picture. And when Stiles becomes acquainted with the vivacious nutritionist Detria, Audrey’s relieved that her son has found a worthy mate. Lipsey is a Shades of Romance Author of the Year 2007 and 2009, 2008 Author of the Year Conversations Book Club, and Black Pearls 2009 Top Shelf Book Award, as well as numerous bestselling accolades. She resides in the south and is the proud mother of two sons and three grandsons. She is also the Founder of Memphis African American Writers Group and Executive Founder and director of the nonprofit organization called Living Your Dreams Now. Return visit from Author & Chi-town Jazz Indie Artists Fred J. Felton book “Journey to Success”. Fred Jefferson Felton is the youngest of 3 children by George W. Felton and Helen K Felton. Fred J. was greatly influenced by his God Parents, Illinois State Senators Fred J. Smith and Senator Margaret Smith as well as his parents and siblings. Fred is another example of someone who continued to preserver through is journey to evolve to who is today and the gifts and passions he has to share with the world.